Our range includes a selection of over 600 frame mouldings, ensuring that the framing experience can be customised to meet your needs. 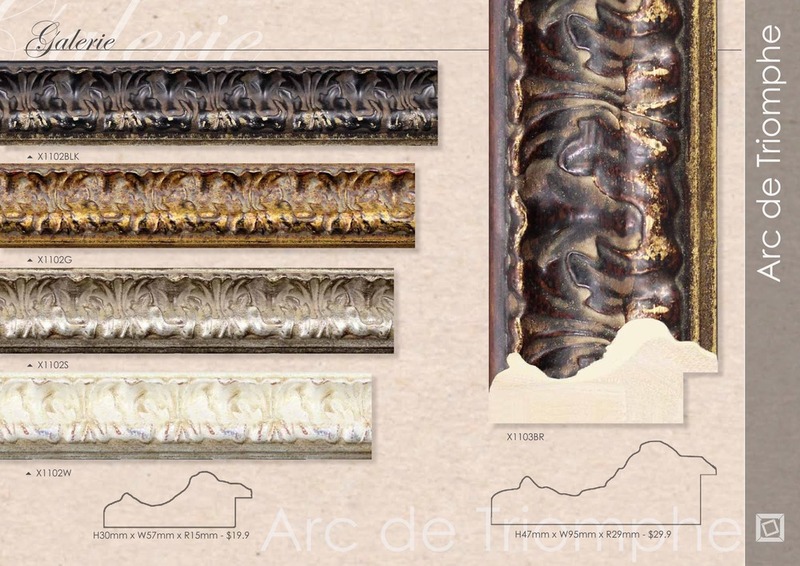 Our exclusive collection of Galerie designer mouldings are carefully selected from the most skilled artisans around the globe, representing the most distinguished level of refinement and sophistication in moulding. Galerie Fine Frames are painstakingly handcrafted for truly remarkable, and unique, finishes.